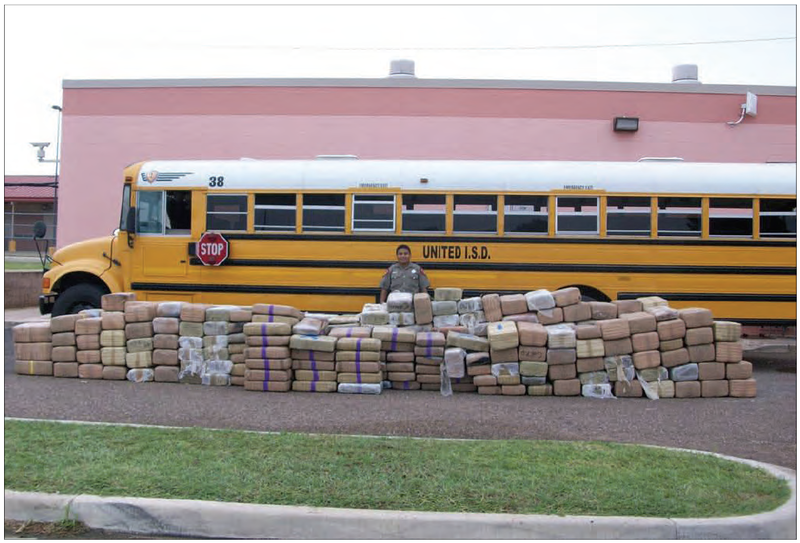 Saturday, October 10, 2009: MARIJUANA SEIZURE (5,408 lbs. 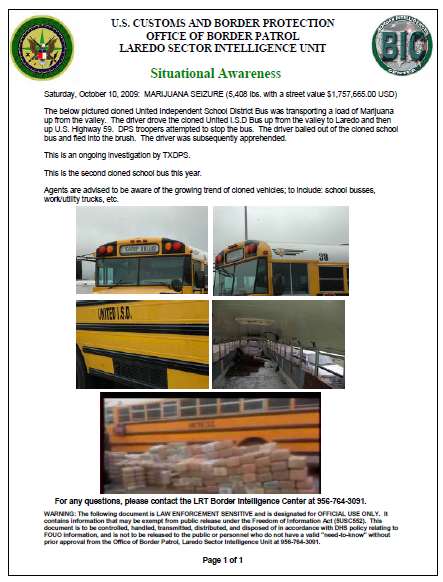 with a street value $1,757,665.00 USD) The below pictured cloned United Independent School District Bus was transporting a load of Marijuana up from the valley. The driver drove the cloned United I.S.D Bus up from the valley to Laredo and then up U.S. Highway 59. DPS troopers attempted to stop the bus. The driver bailed out of the cloned school bus and fled into the brush. The driver was subsequently apprehended. This is an ongoing investigation by TXDPS. This is the second cloned school bus this year. Agents are advised to be aware of the growing trend of cloned vehicles; to include: school busses, work/utility trucks, etc.